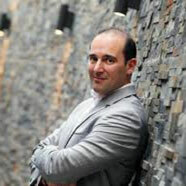 Asia Spa and Wellness Ltd.
Neil is the Chair of the British Chamber of Commerce Angel Investment Committee. 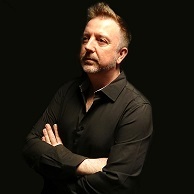 A Capital Markets Investment Banker of 13 years, Neil worked in London, Sydney, Singapore and Hong Kong before establishing his first entrepreneurial venture with spa 'Sense of Touch' in 2002, which is now a top internationally recognized spa brand with nine locations in Hong Kong and multiple industry awards. Neil also owns Evolution-U, a training consultancy focusing on NLP Communication, Influence, Profiling, Sales & Negotiation skills. He has trained over 2,000 executives from sectors including banking & finance, government and manufacturing. Neil holds a BSc (hons) degree in Accountancy and Financial Analysis from the London School of Economics and Political Science and is a Visiting Teaching Fellow of Edinburgh Napier University. He is a Certified Trainer of Neuro Linguistic Programming (ABNLP), a Time Line Therapy Trainer (TLTA), Master Hypnotherapist (ABH) and an ICF Accredited Coach. Originally from the UK, Iain has lived in in several regions of the Asia Pacific since 1989 including Thailand, Indonesia, India, Singapore and now Hong Kong. After graduating from Cambridge University he immediately set up his first Company, trading consumer goods between Indonesia and the UK. He then spent 10 years as an investment analyst for Barclays De Zoete & Wedd, Société Générale, and CLSA before leaving to found EFA in 2003, of which he is now Chairman. Iain’s role as Chairman includes acting as a brand ambassador, overseeing the financial and legal functions as well as the Consulting Services division, and business development for the group. He is currently working to diversify the group’s product range, focusing on EFAdrin. He is a member of the British Chamber of Commerce in Hong Kong, sitting on the Financial Markets, IT and SME committees and the Vice Chairman of the Angel Committee, a programme which connects entrepreneurs with angel investors in Hong Kong. He is also the founding President of TiE Hong Kong, the local chapter of TiE, which is a global non-profit organization dedicated to fostering entrepreneurship through mentoring, education and networking. 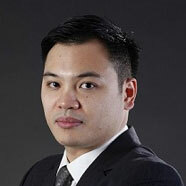 Iain is an active member of the entrepreneurial ecosystem in Hong Kong and the Asian region and is an angel investor. 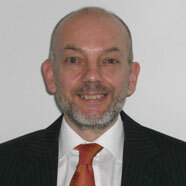 AT Associates Hong Kong Ltd.
Alan Taylor is a management consultant specialising in financial markets. Since founding AT Associates in 1993, he has completed projects for a range of financial organisations, including banks, insurance companies and asset managers. These have covered areas such as business strategy, fund administration, outsourcing, new product development, and product pricing. He has also undertaken technical assistance projects sponsored by international agencies such as the Asian Development Bank and the World Bank. He was previously Head of Global Custody for Swiss Bank Corporation. After graduation, he gained experience in British Telecom and has held senior positions in a number of financial institutions including National Westminster Bank, County NatWest, and First Chicago. He has a degree in Mathematics and Philosophy from Oxford University, is a Chartered Management Accountant (ACMA). 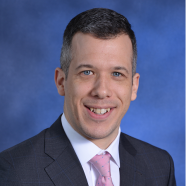 Andrew Ross is the managing director of Baker Tilly Hong Kong and manages a portfolio of local and international audit clients. He has extensive experience auditing publicly listed companies, in corporate structuring and in providing expert opinions on various accounting and auditing issues. Andrew is an independent non-executive director and Chairman of the audit committee of Global Tech (Holdings) Limited, a company listed on the Hong Kong Stock Exchange and principally engaged in the mobile telephone market. Andrew sits on the Asia Pacific Regional Board of Baker Tilly International which is focused upon the expansion and development of the Baker Tilly brand in the region. Archie Fong, an experienced investment banker and angel investor, currently holds title as executive director and sponsor principal of BOCI Asia Limited (wholly owned investment bank of Bank of China Group). He has over 16 years’ experience of corporate finance expertise in IPOs, M&As, financial advisory, restructuring and equity fund raising with accumulative transaction amounts over US70 billion. Prior to joining BOCI, he gained experience from Ernst & Young, HSBC Securities, ICEA Capital, BNP Paribas Peregrine Capital and management role in Hong Kong listed China Zenith Chemical. He also serves as mentor of SME Programme of Trade and Industry Department of HKSAR, honorary advisor for PRC NEEQ listed Yuan Media and HKUSU Investment Society. He received a bachelor degree with honour in Actuarial Sciences from The University of Hong Kong and awarded with the Hong Kong Bank Foundation Bursary (HSBC). He is a Hong Kong Institute of Certified Public Accountant and a part-time lecturer for HKU School of Professional and Continuing Education. 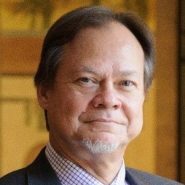 He sits on Angel Investment Committee and China Committee of British Chamber of Commerce in Hong Kong and also on Financial & Treasury Services, China, Asia and Africa Committee of Hong Kong General Chamber of Commerce. 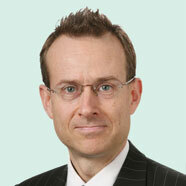 Peter Bullock is a Partner with international law firm King & Wood Mallesons. He has been based in Hong Kong since 1997. 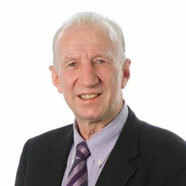 Peter’s background is in risk management and litigation, for clients in the IT and telecommunications sectors. He has acted in numerous disputes for hardware manufacturers, suppliers of software systems, government bodies using IT systems and in relation to outsourcing. He is an accredited mediator with Hong Kong International Arbitration Centre, as well as a domain name arbitrator. His team also deals with IT mergers and acquisitions, data privacy, licensing, intellectual property enforcement and trade marks. 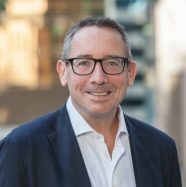 Phil Aldridge is COO of FunctionEight Ltd. Headquartered in Hong Kong and with regional offices in Singapore and New Zealand, FunctionEight provides IT Managed Services and private cloud computing solutions to SME's and Regional Offices of MNC's across the APAC region. As COO Phil heads up the product, marketing and sales functions, as well as providing technical oversight. Phil has been in Hong Kong since 1991 and having worked in various firms in positions of Regional IT manager or similar he joined FunctionEight in 2006. Based in Hong Kong, Philipp is a Managing Partner of Blue Future Partners, a private equity firm investing in real estate and technology assets. Previously he founded and ran K5 Family Office for 5 years. Beforehand, he was in the Leverage Finance Division of UniCredit Bank for 9 years based in London and Hong Kong. 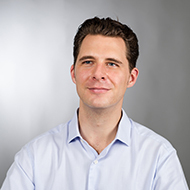 Philipp holds a MSc in Finance from Cass Business School and a BSc in Economics. 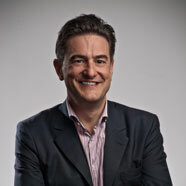 Simon had his first exposure to start-ups in the late 90s, helping design and launch one of the UKs first online property portals, and subsequently led eStrategy for one of the world’s largest insurers before moving to Hong Kong in 2006 as CEO. He decided to take a break from industry and move across to strategy consulting in 2010. With a professional focus on insurance innovation he is passionate about helping build ‘the digitally-enabled, customer-centric insurers of the future’, Simon is an active member of the InsurTech ecosystem in Asia: a frequent conference speaker and; mentor to numerous start-ups within and outside the insurance sector. Simon has been a member of BritCham’s Environment & Energy Committee since 2009 and founded BritCham’s CSR Steering Group in 2012, which he currently chairs. 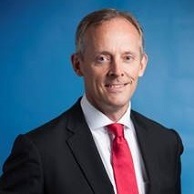 With over 25 years of international business, property development and construction experience, Jonathan Berney, before joining Chayora was Regional Managing Partner for EC Harris in Asia where he spent three years leading and successfully growing the company’s Asian business through a number of significant property and real estate deals. Jonathan has worked in Asia for more than 20 years and has very strong relationships with the corporate occupier market, particularly in financial services, having previously led EC Harris’s global Corporate Real Estate and Critical Systems team. Prior to moving to Asia, he led a number of development and asset organisations through significant transformations in order to maximise their development and operational performance. These included BAA, Land Securities, London and Continental Railways, Rail Procurement Agency and the Grosvenor Estate. 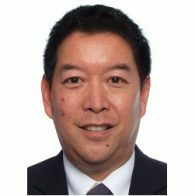 Patrick Eng leads presentation and influencing skills workshops for multinational financial, technology, and consumer companies. He coaches business people from around the world to stand out in the way they communicate. He volunteers his time to train non-profits and global charities for fundraising and donor awareness campaigns. Marian supports the Events and Marketing teams with the day to day running of general events functions and larger special events at the British Chamber. Marian is responsible for putting together all our event flyers and the e-newsletters that are sent out, as well as keeping our Social Media pages up to date with the latest Chamber news and activities. She also looks after the Chambers Business Angel Programme. Tim has over 10 years’ experience in Financial Services in Asia and the UK, with a focus on founding organisations and departments. He is currently the Area Head of Transition (Asia) at St James’s Place Wealth Management, where he is responsible for the transition and development of new Partners in Hong Kong, Singapore and Shanghai. Before joining St James’s Place, Tim worked on the establishment of SHK Private, a subsidiary of Everbright Securities Company Limited, and as such have a great depth of experience working in the local high-net-worth space in Hong Kong. He received his BSc (Honours) at Kings College, University of London, and The University of New South Wales. Martin Allen is a seasoned finance professional with over 20 years experience working in Asia with large property and construction corporates. Martin currently work with the CFO Centre in Hong Kong providing strategic CFO services to a portfolio of SME companies in Hong Kong and China. He targets those who require the expertise of a CFO, but only on a part time basis. Prior to going the CFO Centre, Martin spent 5 years with CBRE working with their Global Workplace Services line of business as Senior Finance Director. From 2002-2012, he was Partner and Regional Finance Director for Arcadis, the built asset consultant. Eric is an experienced trainer and facilitator with a particular focus on Presentation Skills, Effective Communication, Media Training and Influencing and Persuasion. He also regularly trains in the areas of: Building Trusted Relationships, Communicating across Barriers, Consultative Selling, Negotiation and Cultural Intelligence. Eric is in demand as an Executive Coach, specializing in ‘Executive Presence’ and ‘Speaking as a Leader’, regularly working with senior management and C-Suite executives, up to Board level. He is a Certified Practitioner and Coach of Neuro Linguistic Programming (NLP). Eric was born and brought up in Hong Kong before migrating to New Zealand in 1979. He returned to Asia in 1994 after a banking career spanning 15 years in the retail, commercial and corporate banking sectors. His Hong Kong upbringing, multicultural background, local knowledge and international work experience across a broad spectrum of industries and businesses, have given him the proven ability to work with people at all levels, across cultural, language and ethnic boundaries, and across a diverse range of countries, nationalities and professions. 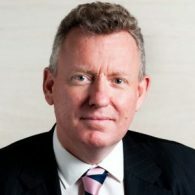 His recent clients include: Allergan, Bank for International Settlements, Baring Asset Management, Blackstone, Brown Brothers Harriman, Capital Group, CFA Institute, Clifford Chance, CLP Power, Credit Suisse, DLA Piper, Ernst & Young, Estee Lauder, Gammon Construction, Hong Kong Monetary Authority, Janchor Holdings, Jardine Matheson, JPMorgan, JTI, Julius Baer, LGT Bank, MetLife, Morgan Stanley, MTR Corporation, Securities and Futures Commission, Schroders, Sullivan and Cromwell, The Hong Kong Law Society, Wal-Mart, and Wallem Shipping. 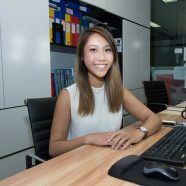 Rosie joined Accenture’s Financial Services Practice in 2013 initially based in London, she relocated to Hong Kong in 2015 where she now runs the Accenture FinTech Innovation Lab Asia-Pacific, a 12-week accelerator programme for early stage fintech start-ups. She is a highly active member of the fintech ecosystem in Hong Kong, speaking at a number of industry conferences in the region. 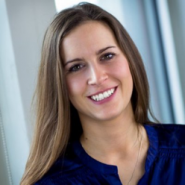 Rosie holds a BA in International Business Management with French from Newcastle University.